Cras sed ante. Phasellus in massa. Curabitur dolor eros, gravidacras sed ante. Phasellus in massa. Nunc ipsum metus, iaculis sit amet, interdum at. Donce imperiat ccumsan felis. 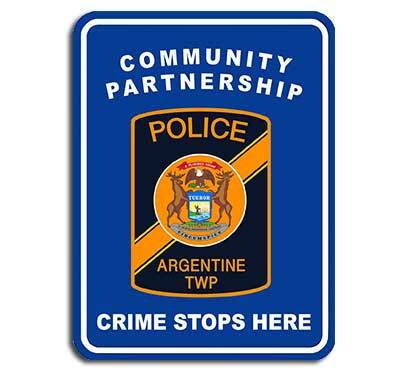 The primary goal of the Crime Prevention Unit and the Argentine Township Police Department is to educate the community about security awareness. Officers of the Crime Prevention Unit make homeowners and business people feel more secure by increasing their knowledge. This is accomplished through a Site Survey.